Gauge: 26 sts, 32 rows = 4” in st st on US size 3 (3.25mm) needles after blocking. 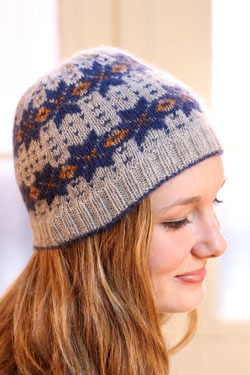 Be sure to check your gauge in fairisle, since there is a tendency for stranded knitting to tighten up. We do recommend going up a needle size in the fairisle portion.